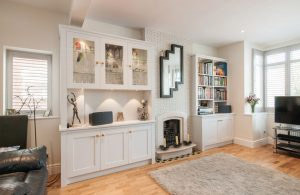 We are a decorating and property refurbishment company that prides itself on the quality of the work and the value for money provided to clients. As well as excellence in the various trades, our speciality is the control, management and timely delivery of the projects we undertake, along with efficient communication with customers. Our experienced tradesmen provide all types of interior and exterior painting, as well as wallpaper hanging, tiling, plastering and repairs, Artex and other speciality finishes. Whether it is painting just one ceiling or the whole property, we will advise you and plan the work, resulting in on-time, high quality and tidy finishing. 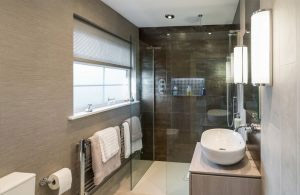 A new bathroom will be a pleasure to use and add will value to your property, but updating or replacing your bathroom can be a daunting challenge. With our experience, we can help you design the best bathroom for your space and your budget. Either you or we can provide the materials, and we will fully manage the installation to ensure the minimum of disruption and inconvenience. It’s important that your kitchen looks good and performs well, so we can help you design a new kitchen to match your exact needs and budget. 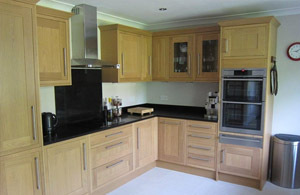 We can provide your new kitchen or work with your provider if you prefer and will project manage and install with the minimum of disruption, leaving you with a high-quality finish and a valuable upgrade to your property. Thank you for visiting. We hope that you find our website informative and helpful in understanding our commitment to providing a comprehensive professional service.